Hallo Hallo Entertainment's Paulo Kurosawa explains to Anime Pilipinas the plans for the girl group’s first major concert, the criticisms, and the Second General Election. The deafening noises, the ecstatic cheers, and the fans yelling their heart out, cheering, clamoring, and getting excited by the minute. You’d think you’d be in a concert or an anime convention where the fans are being entertained by a guest performer from Japan. But no, the scenes are from MNL48’s handshake event held last March 17 at Elements at Centris, Quezon City. It’s clear that the fans are still very much in love with the group, almost a year since the first generation was formed. 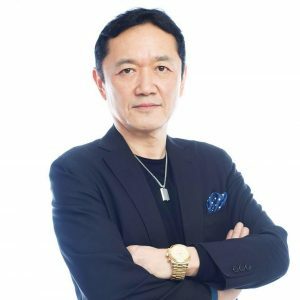 And for Paulo Kurosawa, the president of Hallo Hallo Entertainment, the success of MNL48 is just part of a grand plan for Japanese pop culture to be more visible and embraced in the Philippines. Hallo Hallo Entertainment (HHE), which handles MNL48, is riding high on its successes, with the upcoming concert dubbed “MNL48 First Generation: Living the Dream Concert” happening on April 6, 2019 at the New Frontier Theater in Quezon City, and the upcoming Second General Election of the new members of the group on April 27. Kurosawa did not shy away from the criticisms hurled against HHE and the way the group has been managed, while giving select details about the upcoming Concert and General Election, as well as some updates regarding HHE’s projects that were revealed during in 2015. Kurosawa says MNL48 has already made some big achievements in the span of a year that the idol group was organized and adds that they are ready to face the big stage. “I have no worry that our 48 members can make it, definitely,” Kurosawa said, then letting out a wry smile as to the surprises in store for the group. Kurosawa adds that aside from the members, the staff, crew and production teams are now in deep preparations in the concert, with less than three weeks to go. As for the idol group’s upcoming Second General Election, he stresses that the management group only wants 48 members to be selected for the second generation, as HHE is not yet ready to commit to a larger girl group just like in Japan. “If people support these new girls to be elected, it will happen, [while] those people who does not want their existing member to stay in this position, it will be fair, and I want a fair election this time,” Kurosawa notes, adding that he wants to have an equal exposure for all the girls in the first and second generations, and is also expecting lots of votes on who will be the next Center. “I am also waiting for which song that will be fit for the next Senbatsu members, as it will depend on the center girl, what kind of voice and performance she has,” Kurosawa adds. 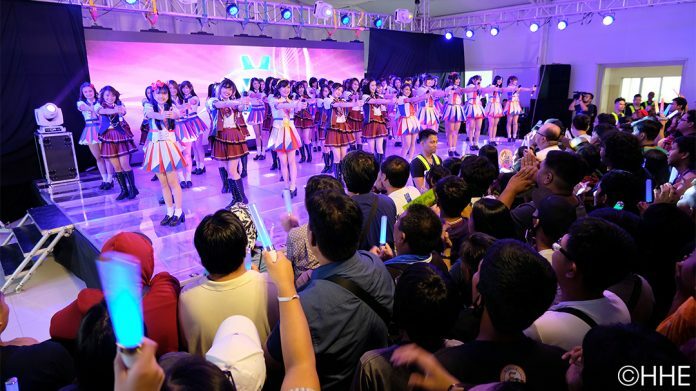 Kurosawa says the plans regarding the General Election, as well as the future direction of MNL48, has been given the go-ahead by Yasushi Akimoto, the overall producer and brainchild of the AKB48 group. “This has been planned already,” Kurosawa says, adding that their system of election will be watched by the other teams. Kurosawa says those who will be voted out on the Second General Election, which will air on ABS-CBN’s noontime variety show It’s Showtime, will graduate on the same day. He also urged the fans to wait for the list of candidates for MNL48’s second generation, due out in the coming weeks, before doing their campaigns. Kurosawa also revealed that the planned Animate Store, which was first reported by Anime Pilipinas in 2015 through Hallo Hallo’s former chief operating officer Maxim Beatty, is still pushing through in its planned venue in Glorietta. “We announced that we will set up [the Animate Store] in Glorietta, and it is still ongoing,” Kurosawa said. When asked about the MNL48 Theater, he says that further details would be announced soon. Kurosawa says he has many plans for the group after the concert and the General Election, adding that the “major, major” surprises will be stretched out through the year, and it is just the beginning. “I am always looking for the possibility [for the group] to go to a local city,” Kurosawa said when asked about the possibility of MNL48 touring other cities like Cebu or Davao. He also addressed the fans being critical to HHE regarding the management of the group, who have been claiming that they should “Uphold AKB Tradition” as per the stickers that were distributed to the fans during the handshake event. “They do not see the whole picture, and siyempre, I do not announce all [what is happening], but if they see it, they will be excited, but I can’t tell,” Kurosawa smiled. For his final thoughts, Kurosawa addressed the fans, who had been tireless in their support for the idol group. Anime Pilipinas would like to thank Paulo Kurosawa and Hallo Hallo Entertainment team for accommodating us for an interview.